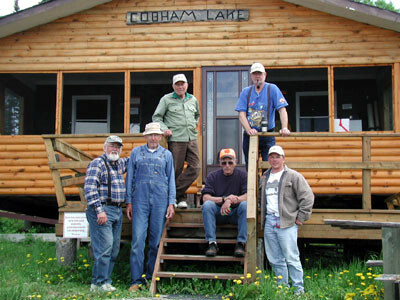 Cobham Lake is located about 130 miles north of our base in Red Lake. 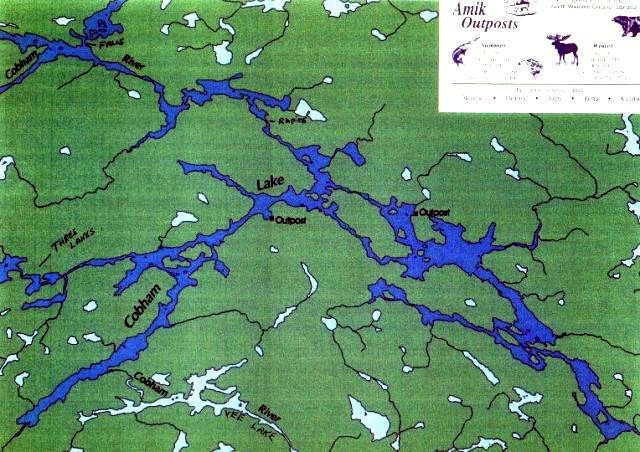 This lake and river system are approximately 65 miles long. 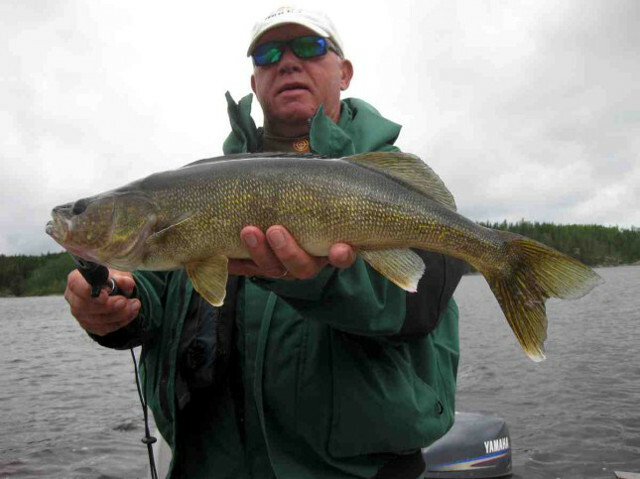 This means a tremendous amount of bays and creeks are available for trophy Walleye and Northern Pike fishing. 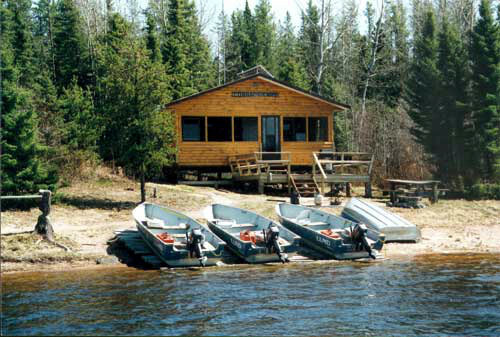 We are the only outfitters on the lake and with two Outpost cabins located about 5 miles apart and our Cobham River Cabin 30+ miles away. 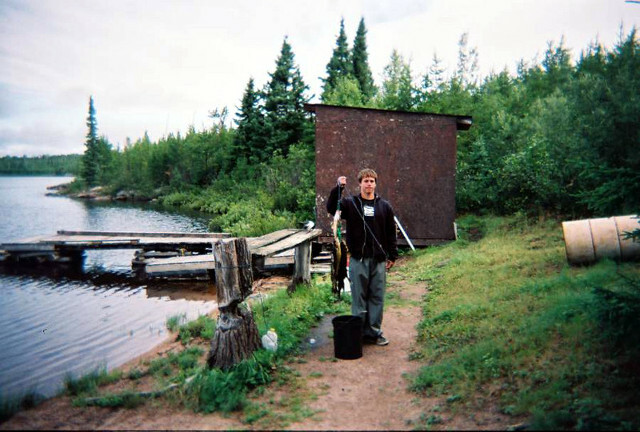 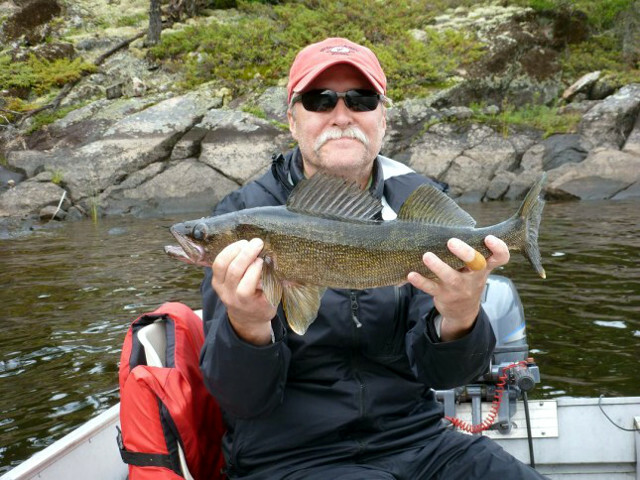 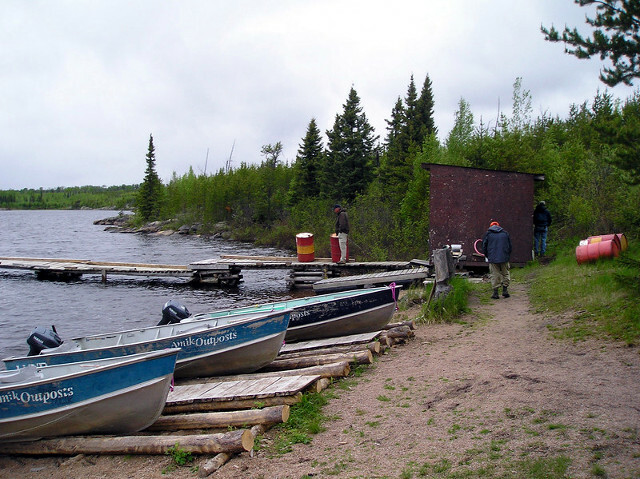 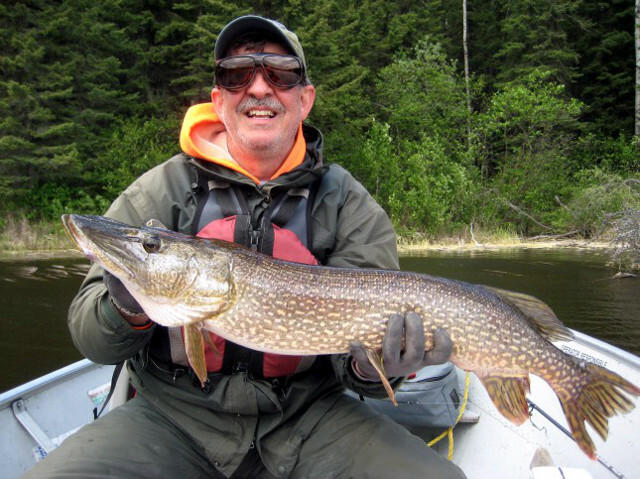 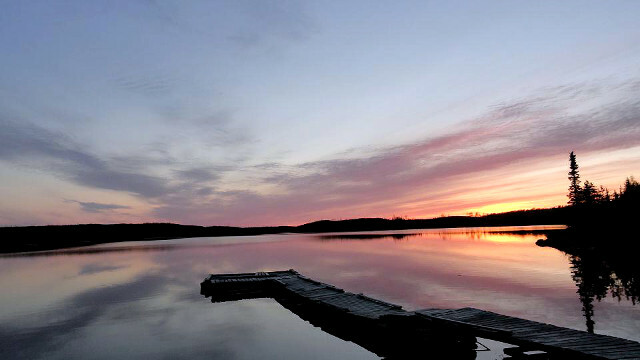 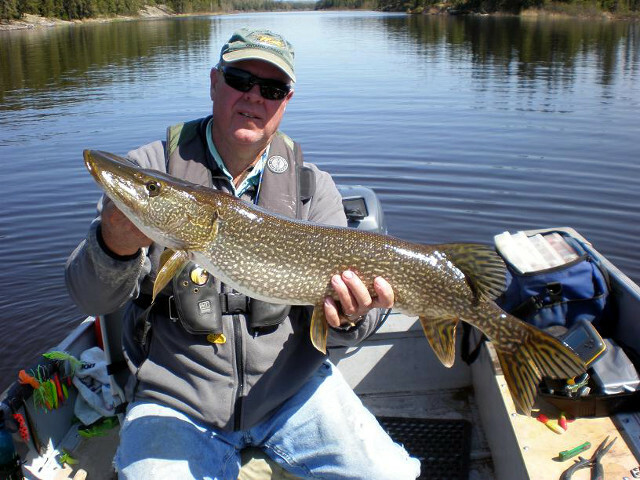 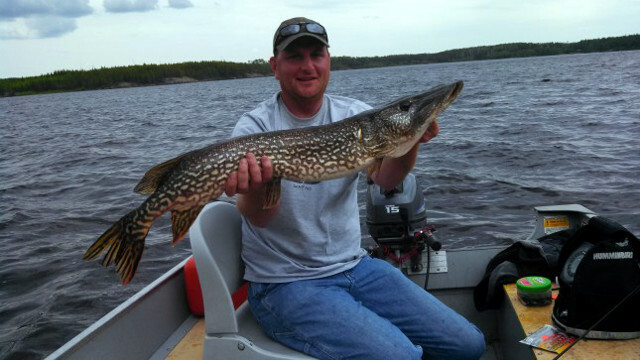 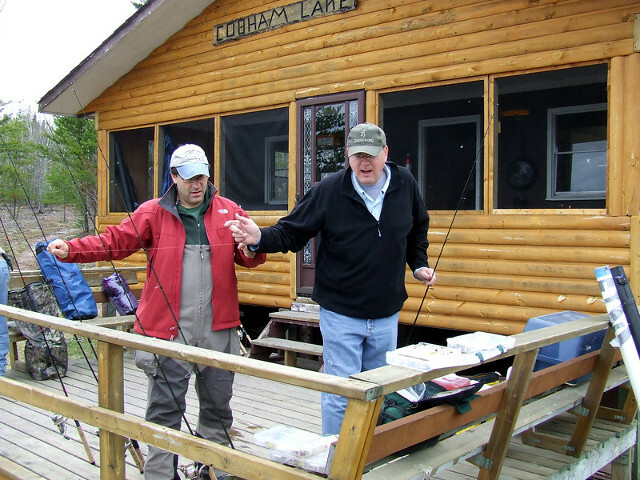 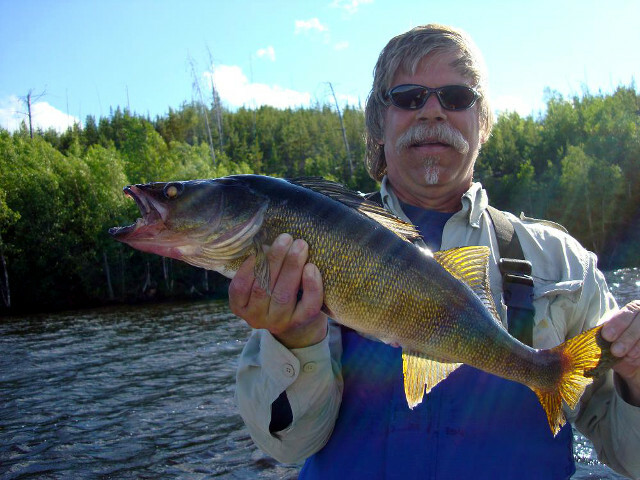 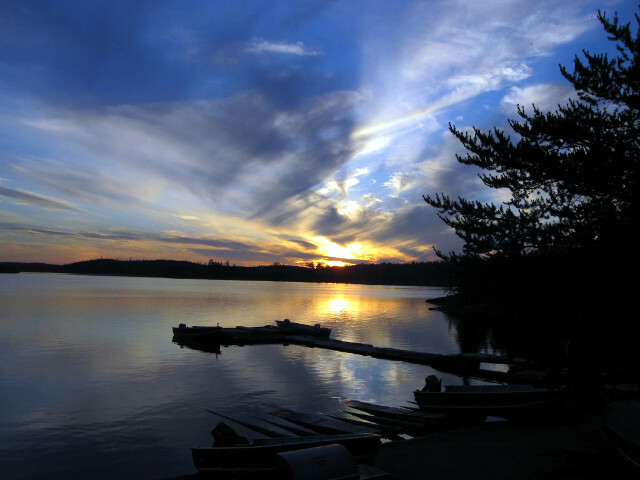 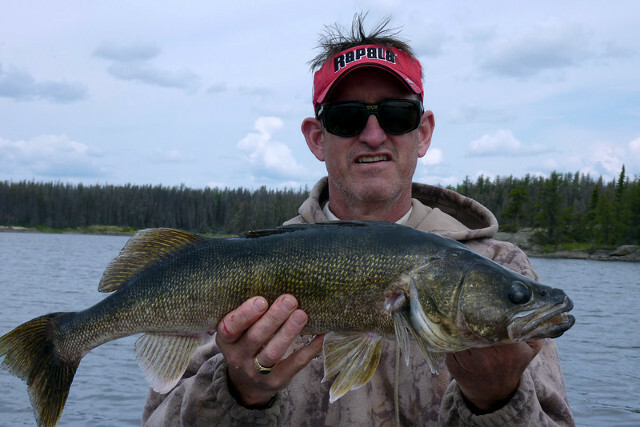 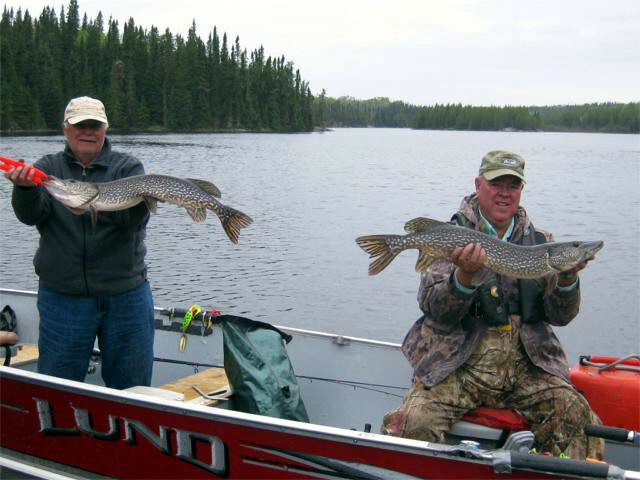 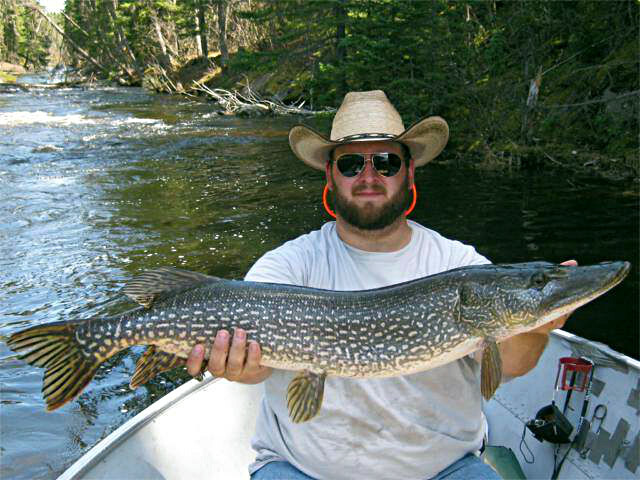 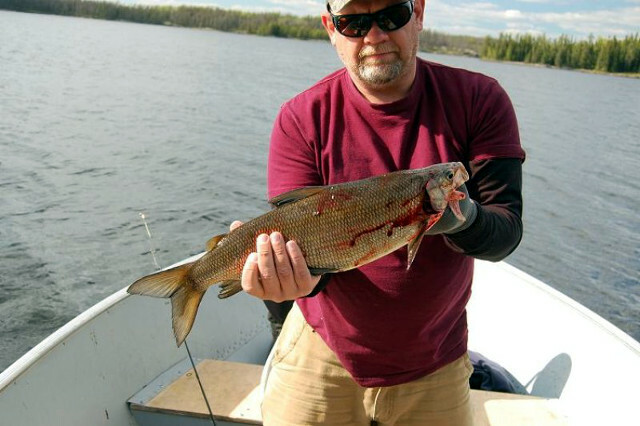 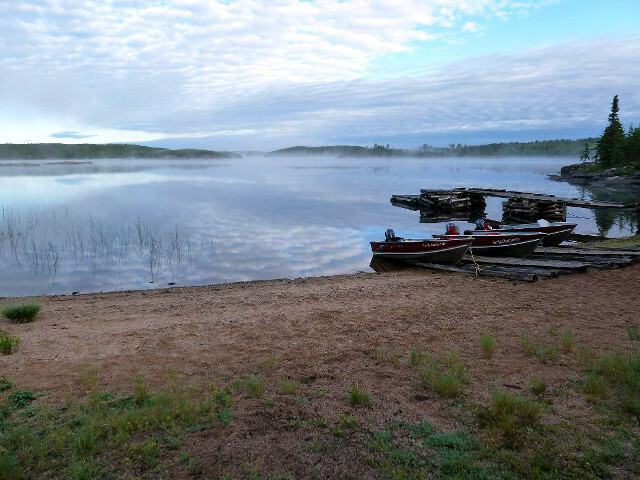 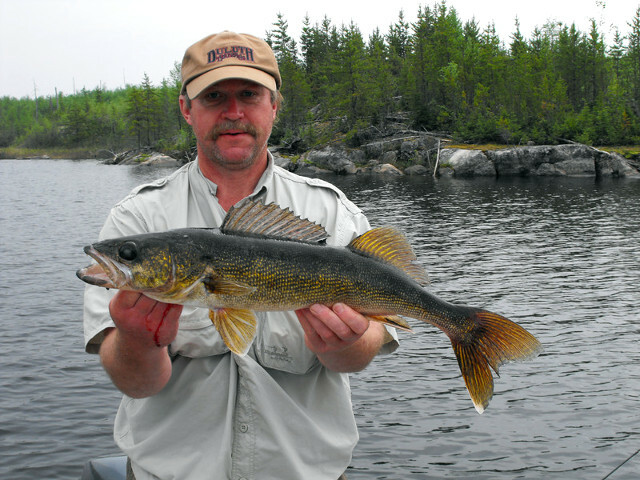 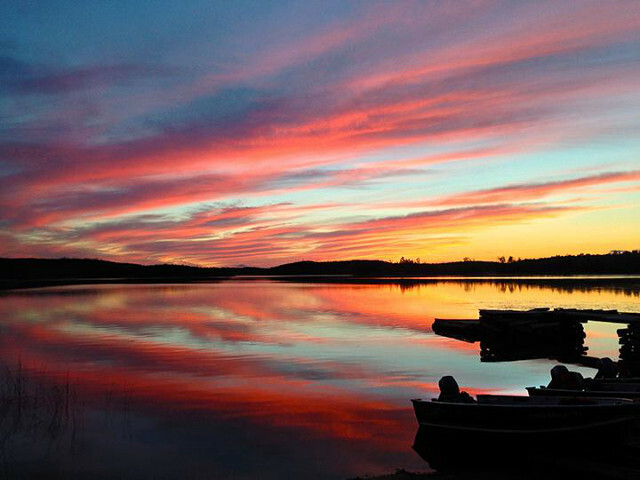 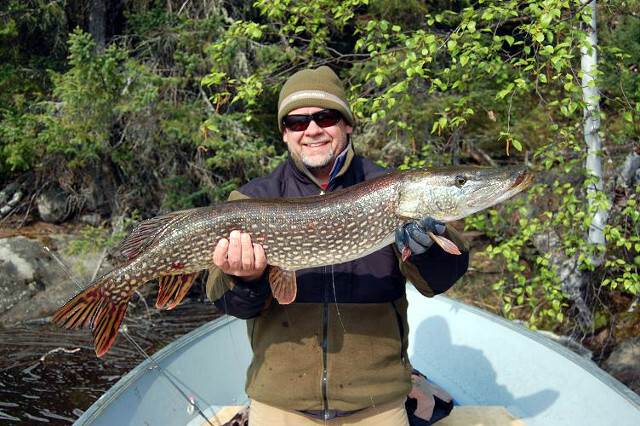 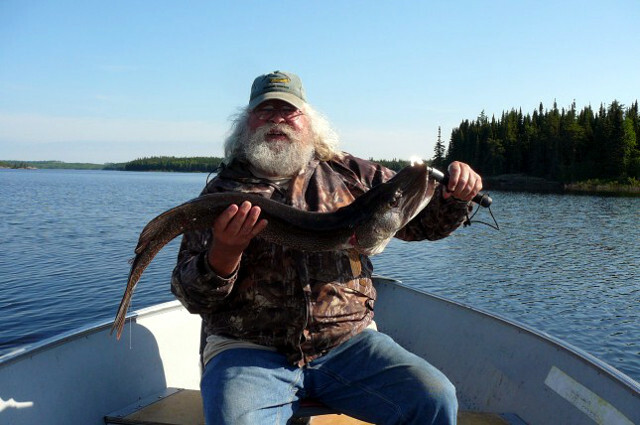 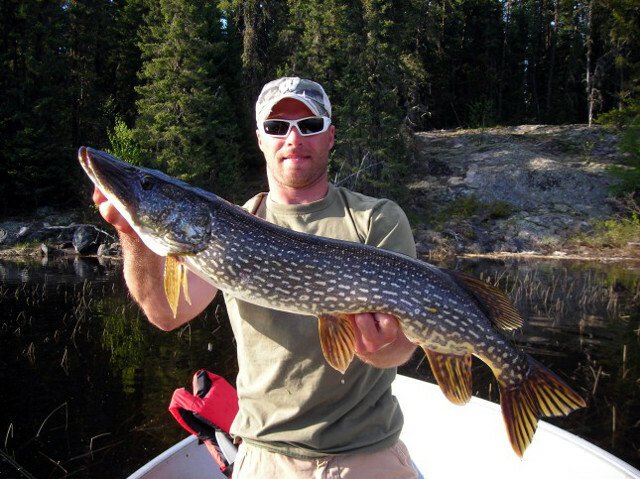 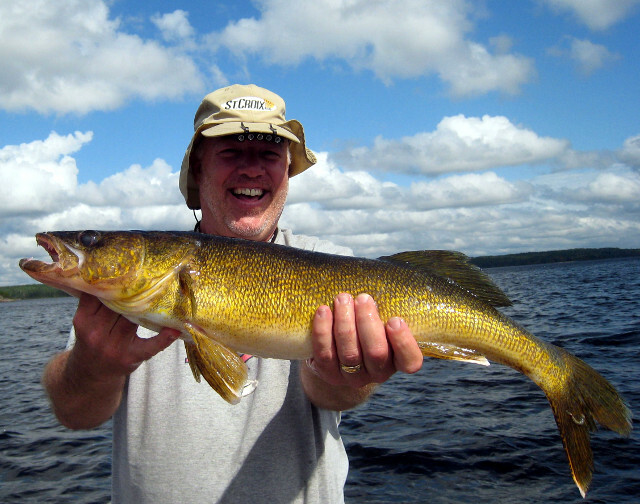 This world renowned body of water is simply the best fishing in Northwestern Ontario. 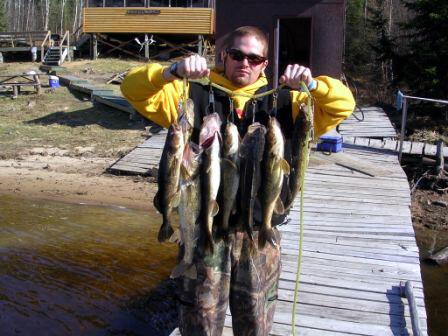 The unbelievable numbers of fish caught and released on the Cobham Lake makes it a true fisherman’s paradise. 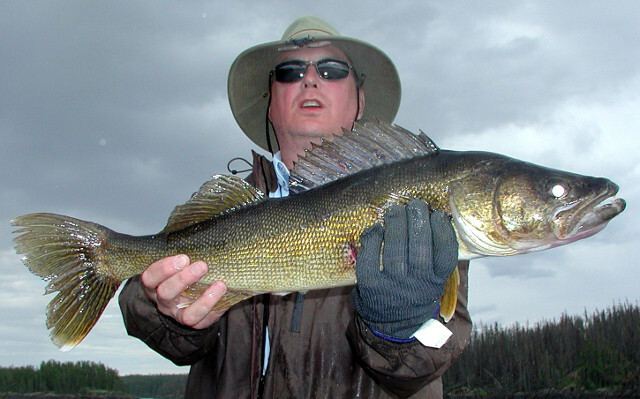 Walleye have ranged from 25 – 36″ with an average length of about 21″. 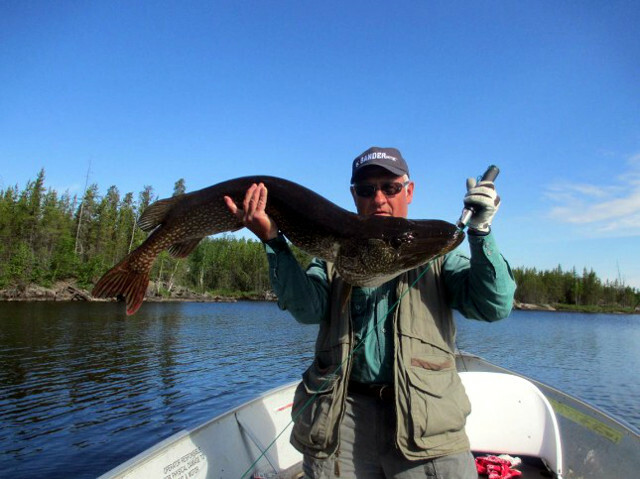 Since everything over 18″ has to go back in the lake many of our fisherman joke about not being able to catch fish small enough to eat. 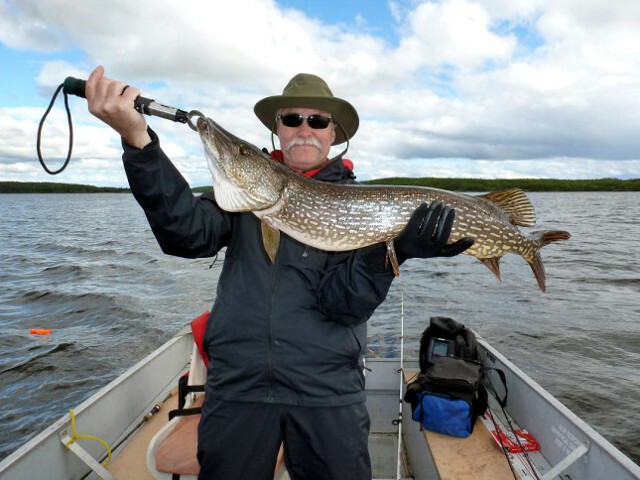 The Northern fishing is remarkable on the Cobham. 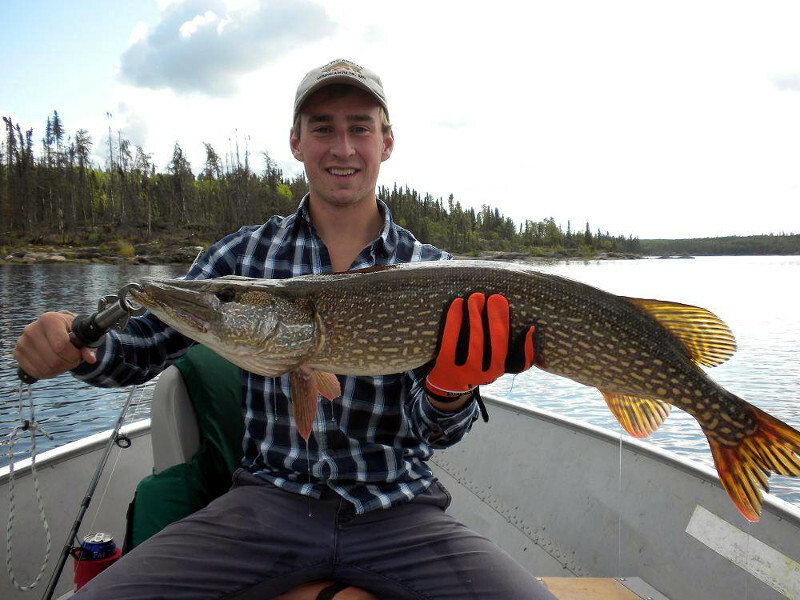 With the lake being quite deep and with so many numerous weedy bays a 40″ + Northern is quite common. 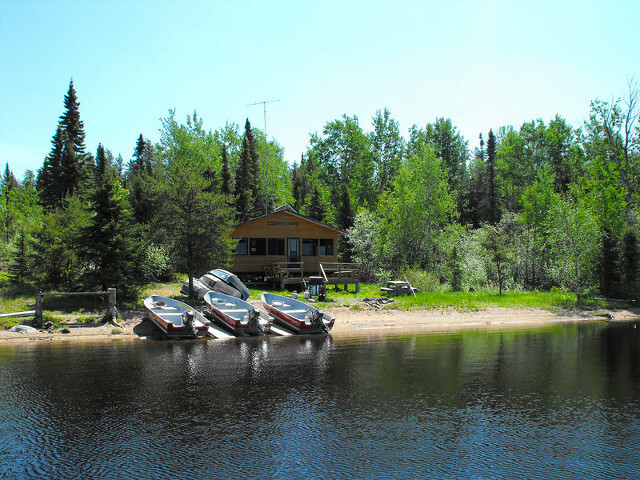 We have 14′ Lund boats and 15hp Yamaha motors, including a spare for the lake. 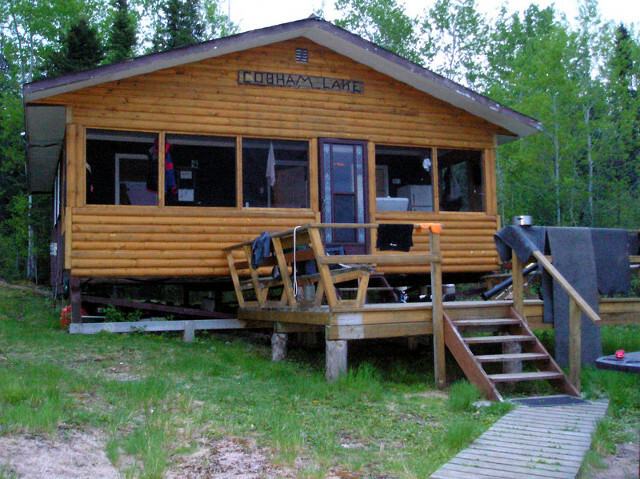 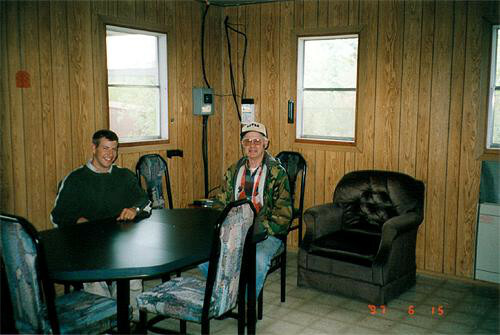 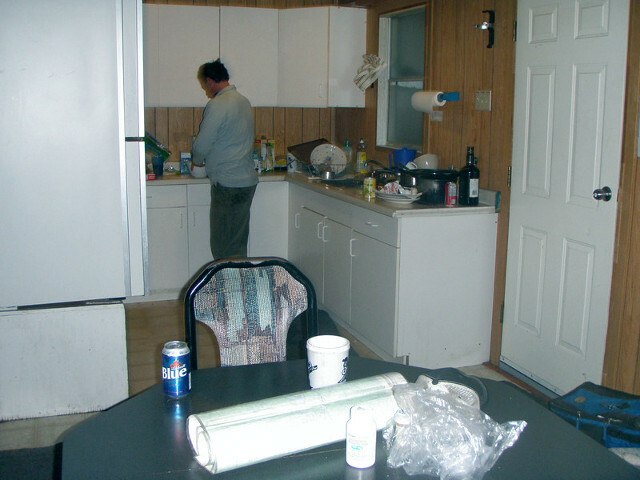 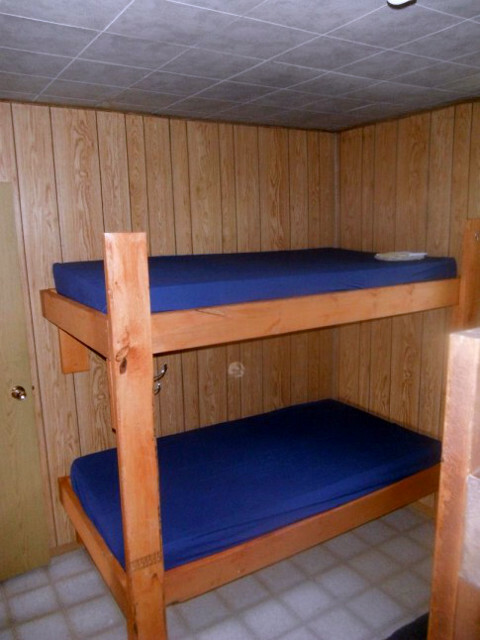 Our Daniel and Morley cabins are identical. 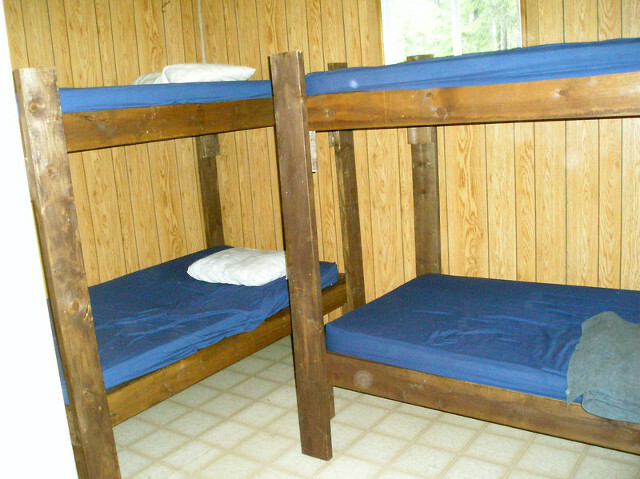 Both cabins are set up to accommodate 8 people. 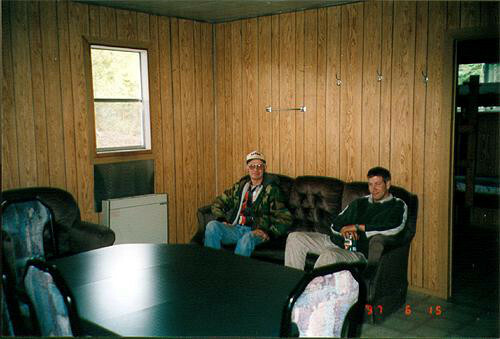 This is great for large parties or individual groups. 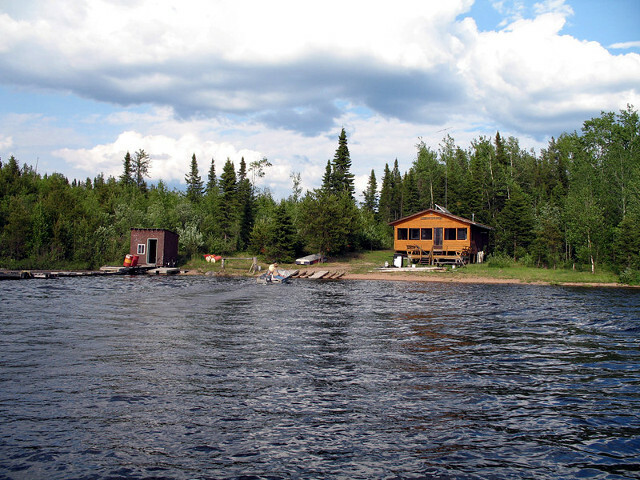 Both cabins have solar lighting and freezer, new 15 cubic foot propane refrigerators, gas stove, hot and cold running water, indoor showers and toilets. 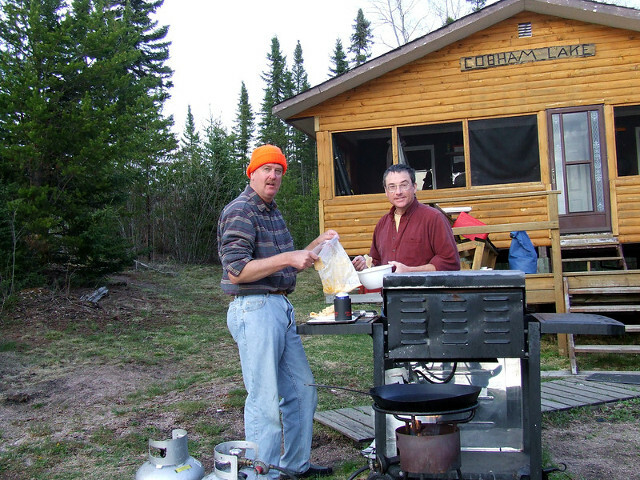 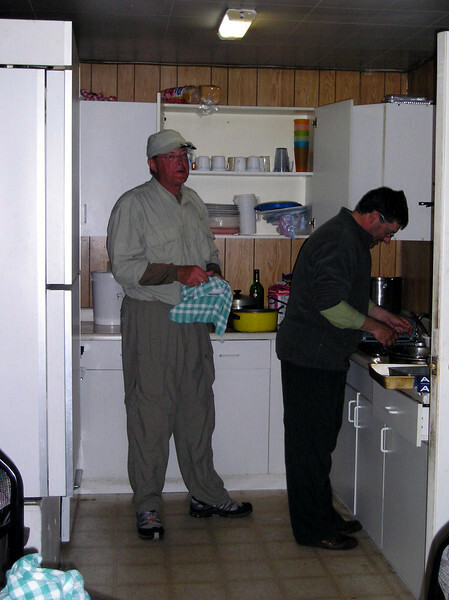 We have a gas BBQ grill and fish cooker, which makes for convenient outdoor cooking. 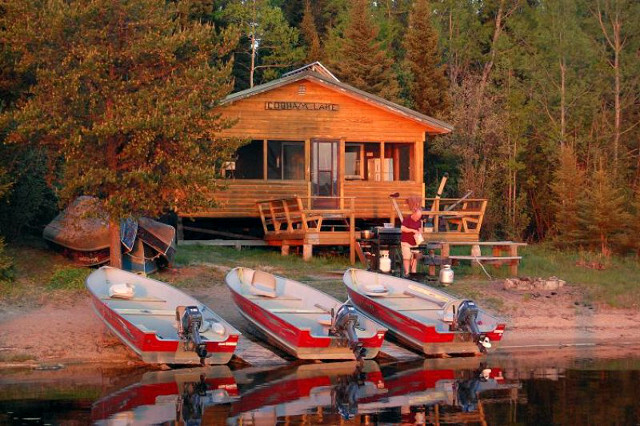 Each cabin has its own 75 gallon fuel tank which will ensure that you have plenty of good, clean fuel for trouble free outboard operation. 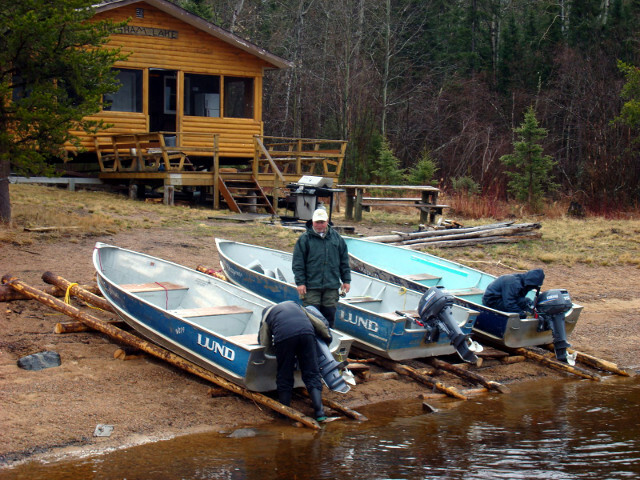 Since you travel so far north we have a handheld satellite telephone available for emergency use only.